Metal Gear is one of the greatest game series ever made, with 4 being one of the only two truly perfect games (in my opinion) in existence. Everyone and their grandma is stoked for the first part of the upcoming Metal Gear Solid V experience, Ground Zeroes, which is due Spring 2014 for PS3 and 360 retail ($30) and digitally ($20), and One and PS4 digitally ($30). Seeing how incredible 4 and even Peace Walker were, Kojima must pull out all of the stops if he wants to even reach an inch of 4’s raw, masterful brilliance. Luckily, I think he has. I’m going to run you through some of my thoughts on some new features and mechanics being introduced to the series by Kojima’s next behemoth, Metal Gear Solid V: The Phantom Pain, and, by extension, Ground Zeroes. 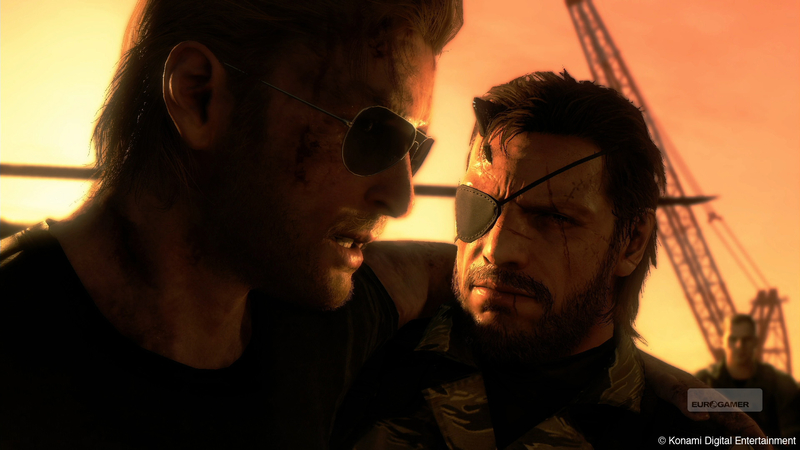 Perhaps the most controversial aspect of MGS V is the omission of David Hayter as Snake. David Hayter was synonymous with the war-stricken, gruff anti-hero, Solid Snake, as well as the more human Big Boss (codenamed: Naked Snake in MGS3). Kojima went with Kiefer Sutherland, for the sake of a more mature Big Boss motion capture. I actually, from what I’ve heard and seen, anyway, really like Big Boss’ new voice, and think it suits him well. Not as gruff and over-the-top as Hayter’s performance, sadly, but still a worthy successor, nonetheless. The gameplay tweaks I feel have been made for the better. The ration system was unintentionally clunky, so this new regeneration mechanic is the next logical step to both perfecting the already incredible formula, as well as making it more “accessible” to new players. Slow-motion for when being caught is a welcome change, allowing for a split-second chance at redemption. Apparently, the guards AI has been upped considerably, so it will probably be even harder to not be caught than it was in the past. Kojima has confirmed you can turn both of these off, so that’s good for you purists who want an extreme challenge. The open-world design seems as though it will give a huge boost to an already very varied gameplay formula. Mixing old MGS ideals with 4’s controls and Peace Walker’s mission structure, the open-world seems as though it was built to accommodate it perfectly. Ground Zeroes’ open-world will have a substantially smaller scope than the supposedly massive V, which is the whole point of Ground Zeroes in the first place; to ease players into the new added layer of puzzle-solving and stealth precision being introduced alongside this open-world. Taking place after Peace Walker’s tedious-as-hell-to-get-to epilogue, the V duology will chronicle Big Boss’ descent into darkness and betrayal, and will most likely be the final MGS before the series comes around full-circle. Characters returning include the wise-cracking Chico, the cutie Paz, the sexually-ambiguous Kaz, the new Troy Baker-fied Ocelot, and of course Snake in the form of Big Boss. Some new characters are due for arrival, including yet another team of wacky boss battles, marking a return to the series’ boss battle form after the lethargic, repetitive Monster Hunter-style ones in Peace Walker. An interesting new addition to the roster is Quiet, who, as a series tradition, is this game’s sniper character, and the main heroine of the game. She is mute, and dresses rather seductively. 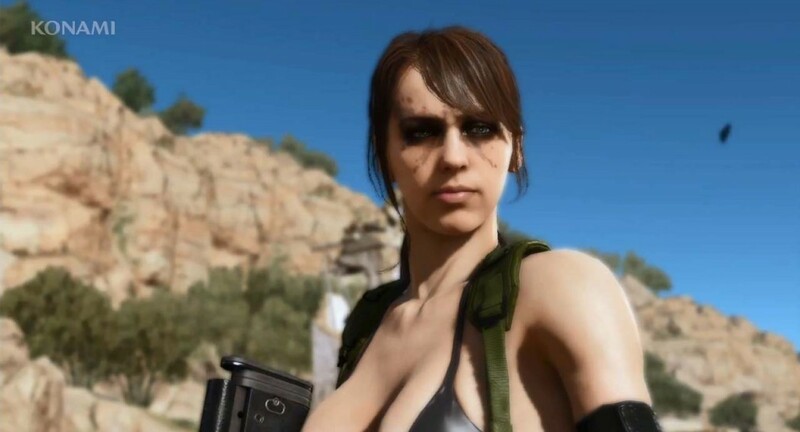 According to Kojima, she has her reasons for why she dresses the way she does, and I couldn’t care less about the way she dresses as long as she’s a great character, and not just fap-bait. Must we turn every attractive female game character nowadays into some sort of taboo controversy? No, just… no. Last thing I’d like to touch on is the $10 increase in next-gen pricing plans for Ground Zeroes, as well as the apparent (well, confirmed, really) lack of a next-gen retail release. Makes sense, as we’ll all have, on average, far more space than we did this gen (500 gigabytes), while some people have 4 gig hard-drives for their 360’s, and desperately need a hard copy. You may want one next-gen, but you don’t need it (unless you have a bad internet connection, or none at all, that it). Also, would it be worth it to buy a next-gen console for MGS V? To answer that question: The Phantom Pain? Yes. Ground Zeroes? If you plan on buying a next-gen console around that time, sure. But it’s not all that worth buying an entire $400-$500 console for. All you get is a boost in graphical fidelity, and 30 more fps. Hardly worth buying an entire console over when your ancient machines can run it almost as good. 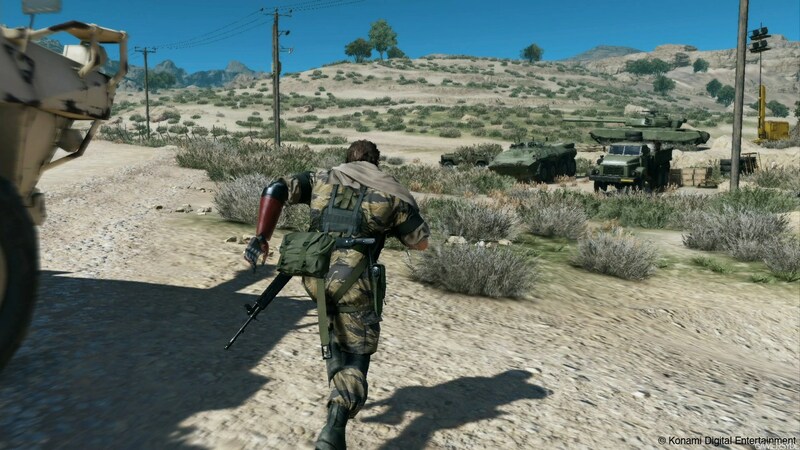 Hopefully, you’ll have a next-gen console for when MGS V comes out, as a game like that really deserves to be played in full graphical fidelity, but if not, you can still enjoy it very much on the console you already own. Long story short: The Phantom Pain (and by extension, Ground Zeroes) is going to be up to par with the classics, more or less. Whether or not it will be as good as the outstanding flawless masterwork, Metal Gear Solid 4: Guns of the Patriots, remains to be seen. Lastly, I say we should see these “controversial additions” as advancements in the MGS game design, and an inlet for new fans. For now, I suggest that you get a Metal Gear Solid marathon/binge going; to either refresh your brain to the lore, or experience it for the first time, and get all “Gear”-ed up for a definitive next-gen experience when Ground Zeroes releases next Spring, and The Phantom Pain later this coming gen.
MGS4 has way too many plotholes and gameplay flaws. Just at the beginning Snake fires a gun without the updated nano-machines. Then we have Raiden trying to stop Outerheaven instead of grabbing Snake to escape and there are so many more plot holes and flaws is not even funny. Compared to MGS3, MGS4 felt like a step back. And who would forget about that extremely boring and limited Act 3? Pretending like MGS4 has flaws. 😀 The AK Snake fired at the beginning had never been recycled, so he was able to use it. As for Raiden attempting to stop Outer Haven, that’s only because it was badass as hell. You seem to not realize that MGS is the epitome of political spy and action movies. It doesn’t all have to make sense to be awesome. Just like in Uncharted 3, after Talbot drugs Cutter, and Nate and the gang run after him, only for him to have turned a dead-end corner and disappear; it doesn’t really matter. It’s an action movie, and should be enjoyed as such; popcorn and all! For me, Act 3 was one of the best acts in the game, with it’s extremely atmospheric European gamespace, amazing Raging Raven boss battle, and the outstanding act ending cutscene. Maybe it’s just me, but MGS4 somehow manages to be entirely free of both plot holes and flaws; a rare feat for such a story-driven game.